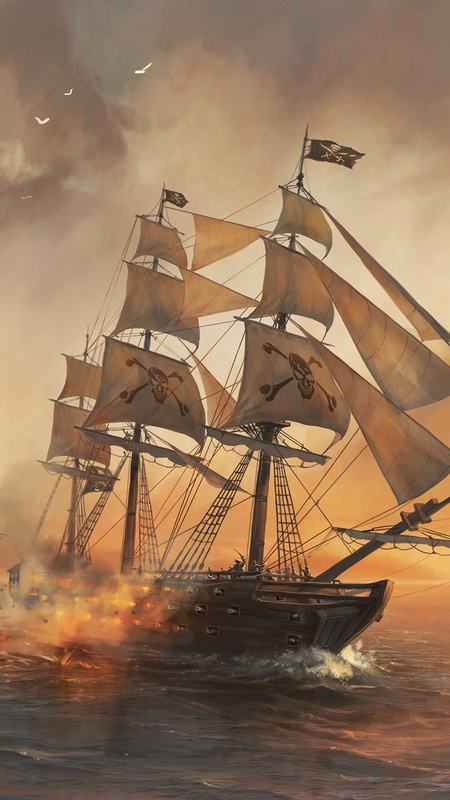 The Pirate: Caribbean Hunt official wallpaper is now available for download in various resolutions including 4K. 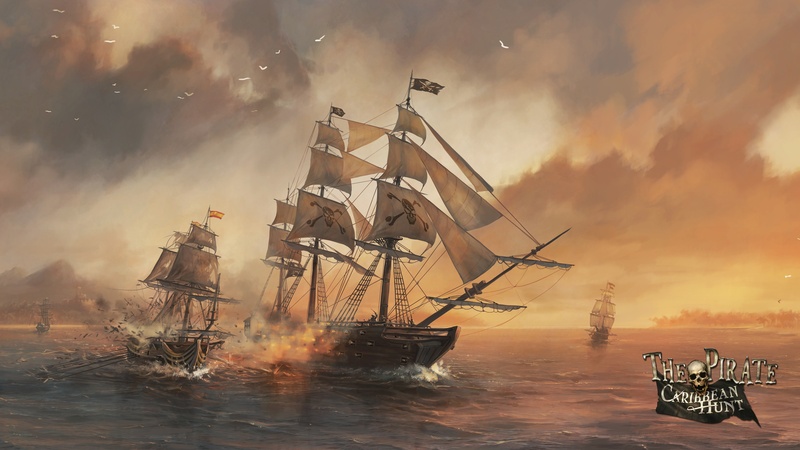 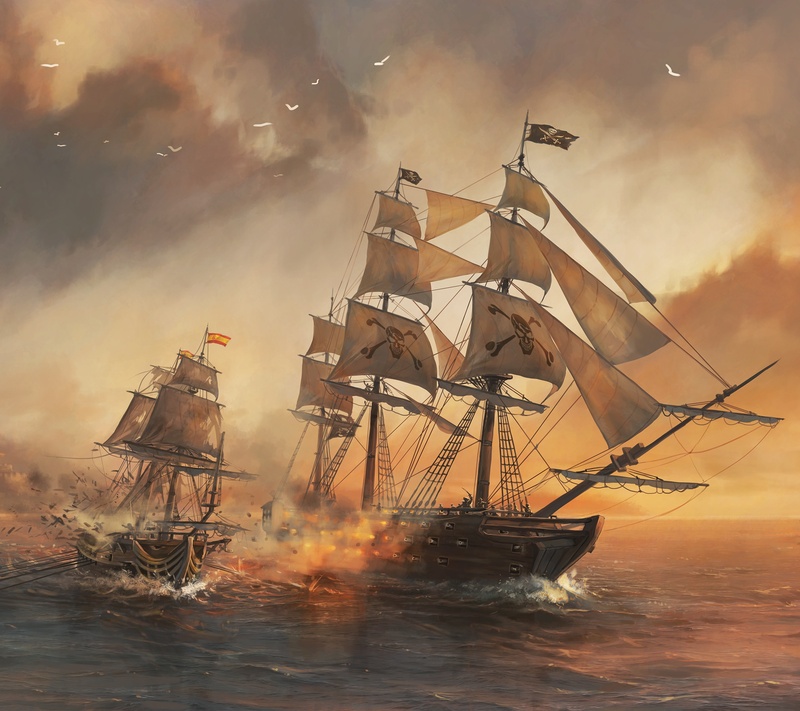 It features the battle of Spanish Galley with a Pirate Ocean Class. Just select desired resolution from the links below to download the wallpaper for your desktop, mobile device or tablet.